Payson Library is pleased to announce an exciting month of arts, music, and literature events coming to Pepperdine this April. This month will kick off with the Radical Beauty Book Launch and Reading on Monday, April 1st from 11 AM to noon in the Surfboard Room. Radical Beauty is an anthology of poetry, photographs, memoirs, and artwork about the community of Malibu in the wake of the Woolsey Fire. Selected contributers, including some Pepperdine students, will read from their work and the current and upcoming Malibu Poet Laureates will talk about the process of assembling this anthology. The second arts event coming to Payson this April is the Junior Art Show Opening, which will be held on Thursday, April 4th from 5 to 6 PM in the library’s Exhibit Gallery. This reception and gallery opening will be held in celebration of Professor Ty Pownall’s students and the art that they have created this year. 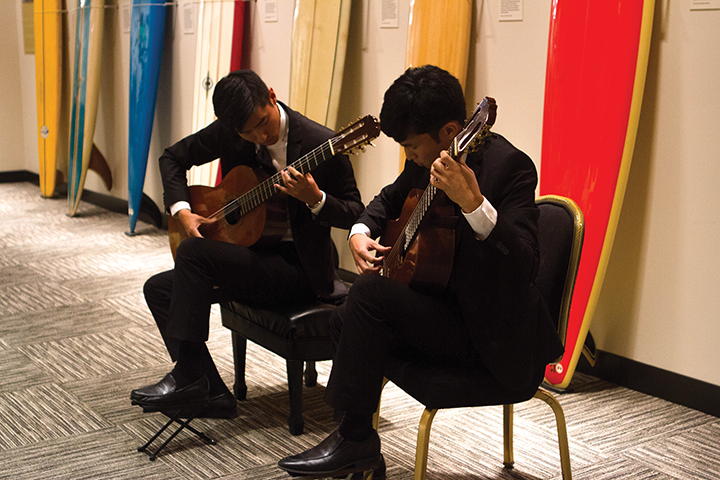 On Tuesday, April 9th from 5 to 6 PM, the students of distinguished professor of music Christopher Parkening will give the last of their monthly guitar concerts this year. Professor Christopher Parkening is one of the world’s preeminent virtuosos in classical guitar. Finally, the Expressionists literary magazine will be holding a launch party for this year’s edition on Wednesday. April 10th in the Kresge Reading Room from 11 AM to noon. Join us to hear some of Pepperdine’s undergraduate contributors read from their featured work.